Seller Motivated. 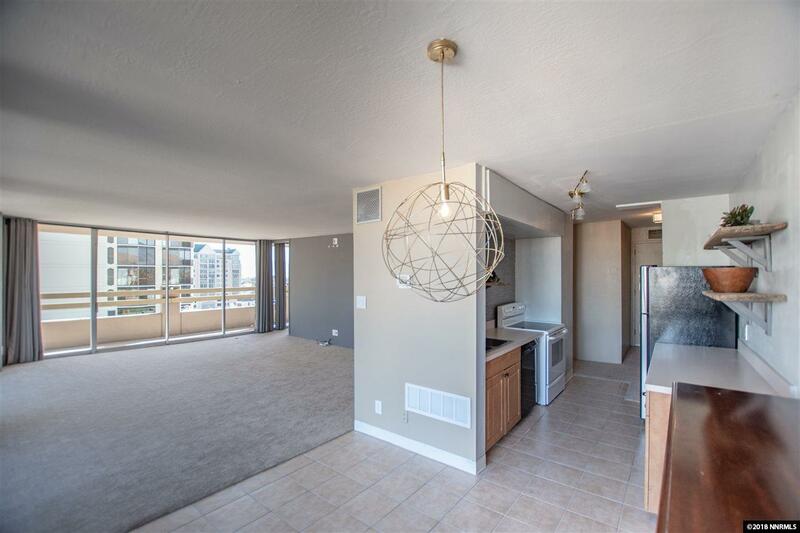 Enjoy incredible views of downtown Reno, the Truckee River and Peavine Mountain from this spacious 2 bedroom, 2 bath corner unit. The balcony wraps around the entire north and east sides of the property, with floor-to-ceiling windows and doors providing views and ample light to every room. The master has custom distressed wood paneling, providing a unique, chic atmosphere. There is new carpet throughout.